How To Help Students With Studying Problems? One very common issue among students is that they admit about problems during study sessions. They simply don’t know what to do when studying. There are different causes of this, as an example, they may think that the directions are not too clear, so they don’t know what they should do. They may also lack the proper procedure or approach to achieve specific things clearly mentioned in the task. Sometimes, students say that they get so upset and they are afraid that it is impossible to catch up with their friends. Parents and teachers should prevent students from wallowing in frustration, because this could eat them up alive. The choice is always theirs, but they may need guidance on how to study smarter. They may have insurmountable problems and it can be difficult to find workable solutions. Teachers should maintain a Facebook page or group where students can gather and discuss their problems. In this case, it is important for teachers to promptly answer to all questions. The session could start at 7PM or 8PM, where students could study just before they go to sleep. An interaction with teacher during study time can be a powerful motivation, especially when students find problems. Other students could read all the solutions and they could also benefit greatly from this. There are also homework help sites that are maintained by education professionals and experts. Students should take full advantage of this, especially because professionals have all the resources available to help students. Alternatively, students can ask experienced family members who are knowledgeable enough to help them. When everything else fails, it is probably a good idea to ask family members. Students are usually more comfortable studying with their family members, than their teachers. Older students who live in college dorms may not have other alternative than studying with their fellow students. Sorority and fraternity members should become a good source of experience and knowledge. In general, it is all about looking for knowledgeable tutors who students are comfortable with. In some cases, there are professional services that can help students until specific ages. They should be willing to help students for specific fees. With good instructions, students should wind up with at least B+ in the class. It is also a good idea to study in groups, both formal and informal. Teachers should contribute by asking students to form groups on their own. In this case, teachers could ask students to complete a group task and then, each student will be asked to present the task, to find out whether they have participations. Study groups should help students in different ways. In this case, they can add responsibility and structure to their studying, compared if they only study alone. Second, it is a simple truth that members need to contribute their support and knowledge. In some cases, a group is only as strong as its weakest link. 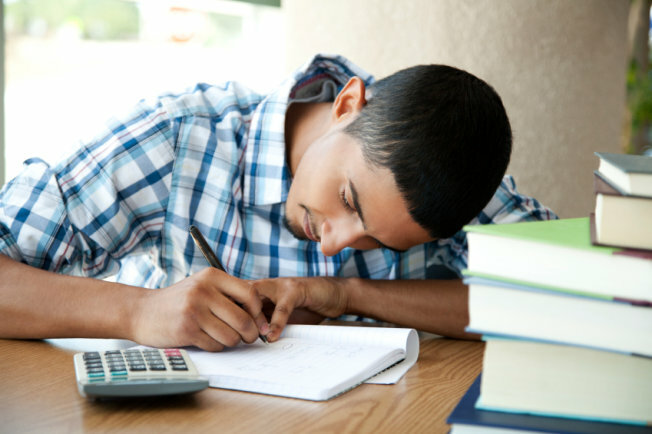 By performing these steps, it should be possible to help students with studying problems.